The total crypto market cap failed to hold gains above $120.00B and declined to $115.00B. Stellar (XLM) price is holding the $0.1000 support very well and it could gain traction. Bitcoin cash price may correct lower towards the $125 support level. Tron (TRX) declined below $0.0250 and it could find support near the $0.0240 level. Cardano (ADA) price is trading nicely above the $0.0420 and $0.0440 support levels. The crypto market failed to hold gains and declined following Ethereum’s slide. Bitcoin, BCH, ETH, XRP, Stellar (XLM), Tron (TRX) and Cardano (ADA) also corrected lower. After a decent upward move, there was a bearish reaction from the $135 resistance in bitcoin cash against the US Dollar. BCH/USD declined below $130 and it is currently consolidating losses. An initial support is at $125, below which it could revisit the $120 support. On the upside, a close above the $132 and $135 resistance levels is must for an upside acceleration towards $140 and $145 in the near term. Stellar price retreated from well above $0.1150 and declined below the $0.1100 support. However, XLM is still well supported above the $0.1050 and $0.1000 support levels, and it may soon bounce back. Tron price started a downside correction below the $0.0280 support and tested the $0.0230 support. TRX is currently consolidating near $0.0240 and it may slowly climb above $0.0250 and $0.0262 in the near term. 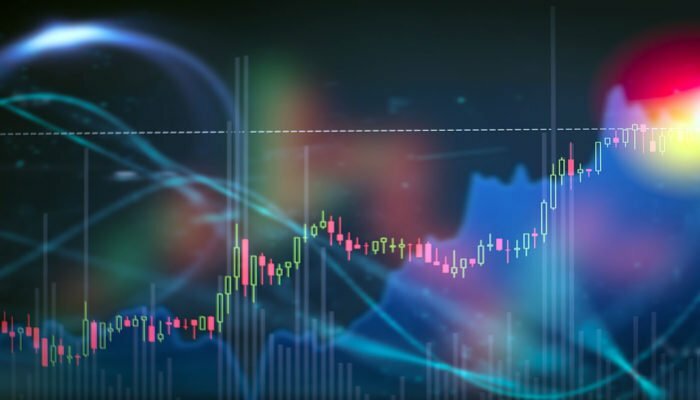 Cardano price tested the $0.0400 support recently and bounced back. ADA is currently trading near $0.0440 and it may continue to rise towards the $0.0450 and $0.0472 in the coming sessions. On the downside, the main supports are $0.0432 and $0.0420. Looking at the total cryptocurrency market cap hourly chart, there was a bearish reaction from the $120.00B-121.00B resistance zone. The market cap declined and tested the $115.00B support. It is currently correcting higher, but there are many hurdles on the upside near the $118.00B, $119.00B and $120.00B levels. Therefore, it seems like upsides might be capped in the short term, and bitcoin (BTC), Ethereum, EOS, stellar, LTC, ripple, TRX and other altcoins may continue to consolidate.